Why do people have under eye bags? Every person has under eye bags, it’s simply the skin quality that determines if they are visible or not. Under eye bags become more visible when the anatomical “fat pad” under the eye are becomes pronounced as the skin around the eye is damaged and thinned as part of the aging process. Thinning of skin and migration of under eye fat pad leads to under eye bags. They cause puffiness and shadowing that in the current “Selfie era” makes people very self-conscious about themselves. Puffy bags under eyes are a great distress to both men and women. They are often told that they look tired or like they were crying all night. The shadowing of fat pad also causes discoloration and gives people dark under eye circles that ages them almost immediately. Women have been trying to be very creative and hide the discoloration by applying a lot of make up concealer, which simply camouflages the problem. When too much makeup is used, it gives off wrinkly appearance and now you have created even more problems by having bags AND wrinkles under your eyes! Under eye bag causes need to be carefully examined and evaluated by an experienced professional. Common medical conditions such as high blood pressure or kidney disease must be ruled out. If you are taking daily medications, please inform your doctor as well. What are the latest available treatment options in NYC ? 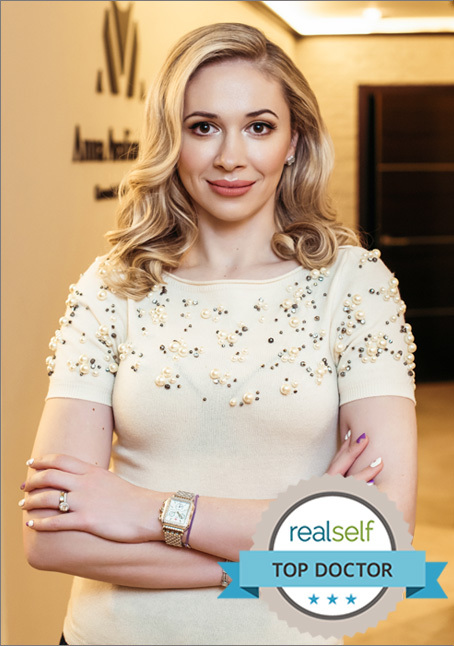 Dr. Avaliani is an expert in her field of Cosmetic & Laser surgery and can offer a very detailed and comprehensive consultation. She believes in customizing the treatment for each and every individual based on their anatomy, lifestyle and expectations. Dr. Avaliani will determine the best treatment option for you at the time of your consultation.